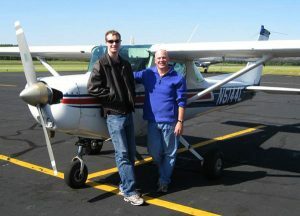 Chris returns from Danville as a private pilot with CFII David Calhoun . 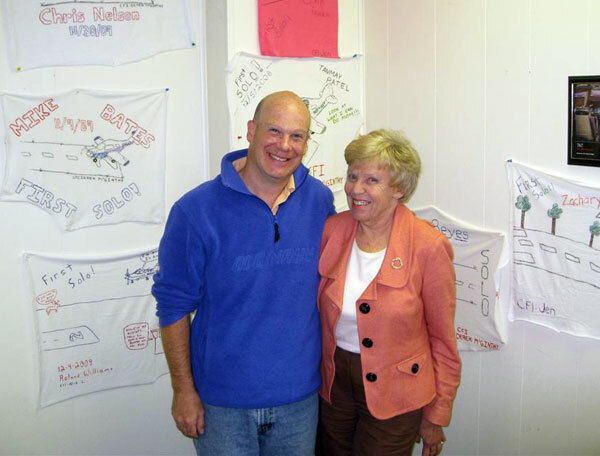 Picture below is of Chris with Barbara Baron, Designated Pilot Examiner (DPE). Barbara is actually based at Martinsville, VA (KMTV) but often conducts check rides out of KDAN.